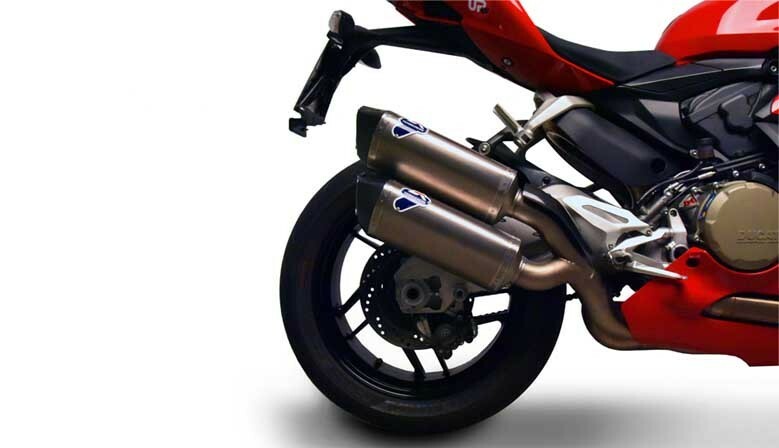 Set of Termignoni slip on silencers racing carbon equiped with removable db-killers for Ducati Monster 400, 600, 620, 695, 750, 800, 900, 916 S4, 1000. 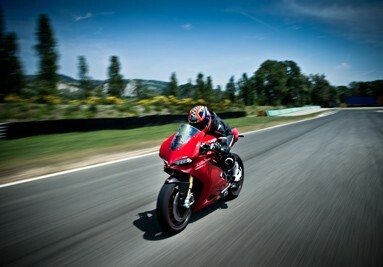 Reference Termignoni D061, reference Ducati 96007700B. 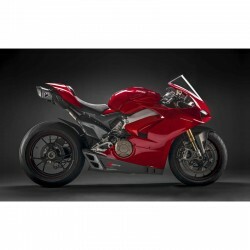 This product is not anymore available from Ducati but it's on stock at Numero Uno. Termignoni Slip On exhaust system GP Classic round carbon for KTM Duke 390 (18-19) with stainless steel link pipe and structure, carbon sleeve with Termignoni riveted logo plate. 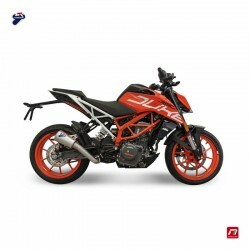 Termignoni Slip On exhaust system GP2R-R conical stainless steel for KTM Duke 390 (18-19) with stainless steel link pipe, sutructure and outer sleeve with Termignoni riveted logo plate. 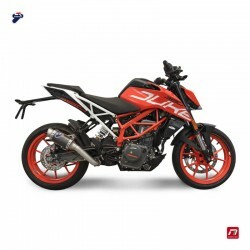 Termignoni Slip On silencer Relevance Conical Titanium - carbon for KTM Duke 390 (18-19) with stainless steel link pipe, titanium outer sleeve and carbon end cap. 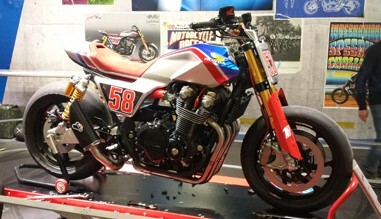 This silencer is not street legal homologated but it is equipped with a removable dB-killer. 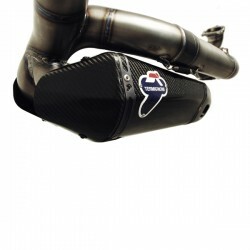 Termignoni Slip On exhaust system GP Classic round carbon for Yamaha YZF R6 (17-19) with stainless steel link pipe and structure, carbon sleeve with Termignoni riveted logo plate. 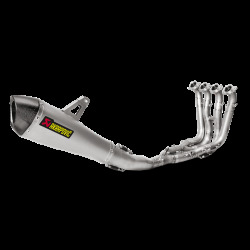 Termignoni Slip On exhaust system GP2R-R conical stainless steel for Yamaha YZF R6 (17-19) with stainless steel link pipe, sutructure and outer sleeve with Termignoni riveted logo plate. 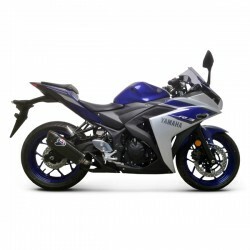 Termignoni Slip On silencer Relevance Conical Titanium - carbon for Yamaha YZF R6 (17-19) with stainless steel link pipe, titanium outer sleeve and carbon end cap. This silencer is not street legal homologated but it is equipped with a removable dB-killer. 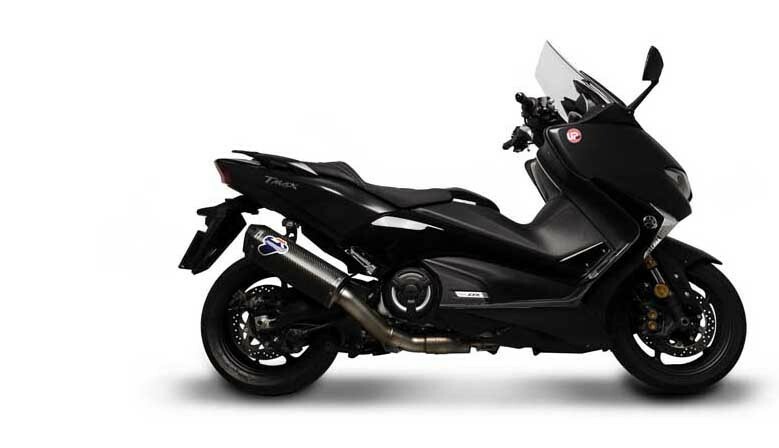 Termignoni homologated (if installed with catalyser Y116CAT) silencer slip on carbon for Yamaha Xmax 300 (2017). 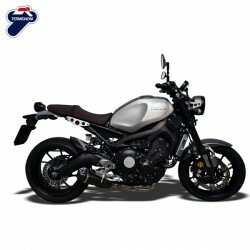 Homologated complete exhaust system Termignoni with stainless steel collector 3 into 1 with full hexagonal (relevance design) carbon silencer for Yamaha MT-09 from year model 2014 to 2017 and XSR 900 year 2015 to 2017. 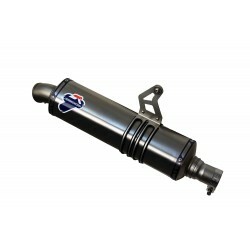 This system is homologated with the optional catalytic converter reference Y102CAT. 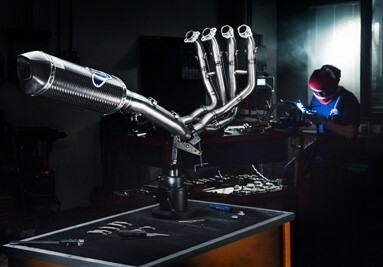 Homologated complete exhaust system Termignoni with stainless steel collector 2 into 1 with full hexagonal (relevance design) carbon silencer for Yamaha MT-07 from year model 2014 to 2017 and XSR 700 year 2015 to 2017.This system is homologated with the optional catalytic converter reference Y104CAT. 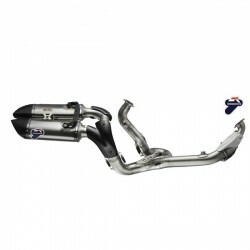 Silencer slip on Termignoni homologated (Euro4) for Honda CRF 1000 L Africa Twin (16-17) with stainless steel link pipe, titianium silencer with stainless steel end cap. Equipped with removable dB-killer. Termignoni stainless steel collecteur 2 into 1 for Honda Africa Twin CRF 1000 L year 2016-2017. 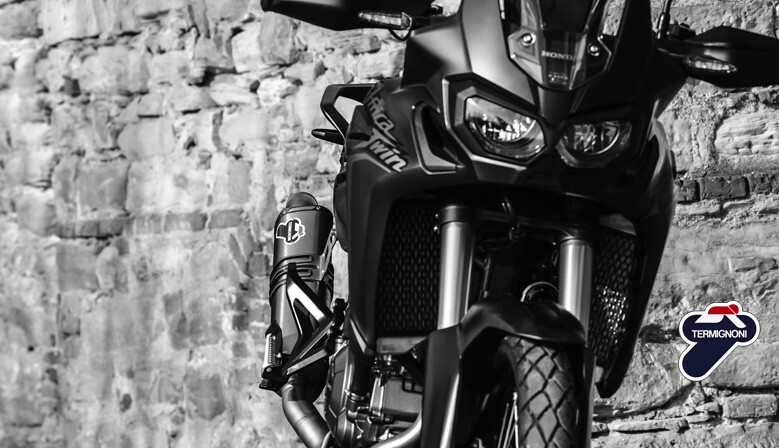 Homologated complete exhaust system Termignoni black version with black satined stainless steel collector 2 into 1 and hexagonal (relevance design) full carbon silencer for Yamaha MT-07 from year model 2014 to 2017 and XSR 700 year 2015 to 2017.This system is homologated with the optional catalytic converter reference Y104CAT. 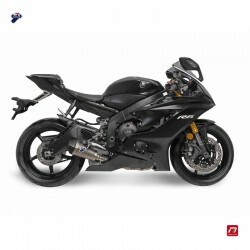 Homologated complete exhaust system Termignoni with stainless steel collector 3 into 1 black chromed with full hexagonal (relevance design) carbon silencer for Yamaha MT-09 from year model 2014 to 2017 and XSR 900 year 2015 to 2017. 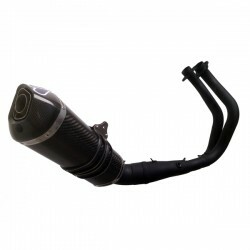 This system is homologated with the optional catalytic converter reference Y102CAT. 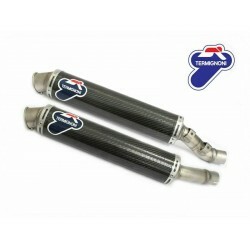 Termignoni homologated slip on exhaust full carbon for Yamaha YZF R1 year 2015 to 2017. 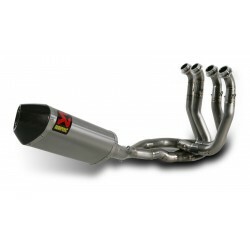 This exhaust system can be installed with the standard collector. 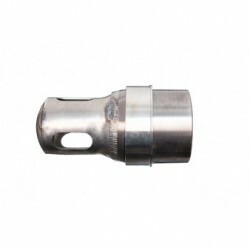 The body of the silencer is made from titanium CuNb. The "Force" design silencer has an outer shell / sleeve in carbon and a carbon end cap. 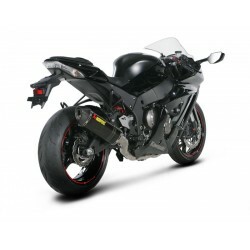 Termignoni homologated slip on exhaust titan / carbon for Yamaha YZF R1 year 2015 to 2017. 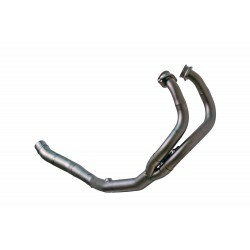 This exhaust system can be installed with the standard collector. The body of the silencer is made from titanium CuNb. The "Force" design silencer has an outer shell / sleeve in titanium and a carbon end cap. 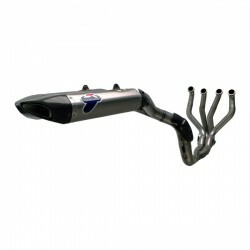 This exhaust system can be installed with the standard collector. The body of the silencer is made from titanium CuNb. 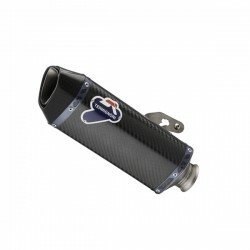 The "Force" design silencer has an outer shell / sleeve in carbon and a carbon end cap. 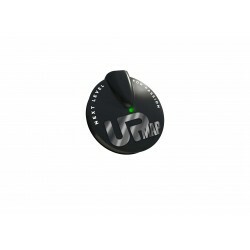 The carbon heat shield is supplied with this product. 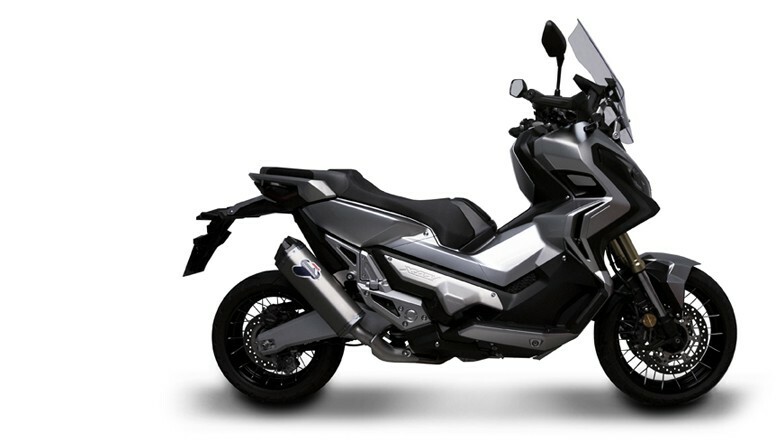 UpMap kit T800-SL010572-HOXADV-17 for Honda X-ADV 2017. 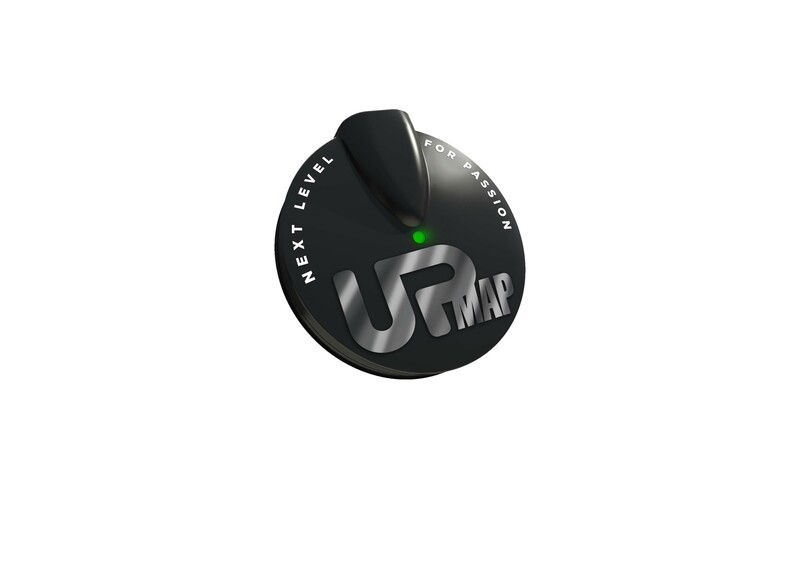 With the UPMAP application (to be download from http://www.up-map.it/en/upmap-app/), you can easily replace your injection mapping file with a version developed and optimized by the Upmap specialists team. 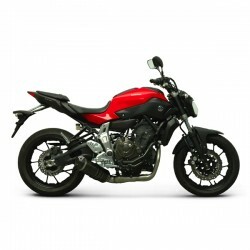 In "MORE INFO", discover all the maps available for your bike depending on its configuration. 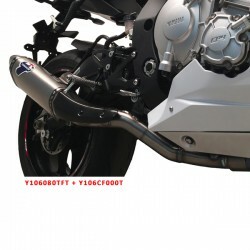 Otional Catalytic converter for complete system Termignoni Y104090... for Yamaha MT-07, FZ-7, XSR 700. 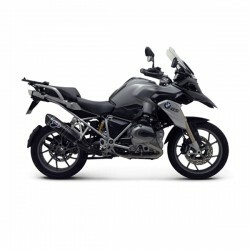 Supplied with fitting instruction and Euro 4 homologation certificate. 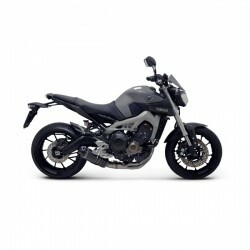 Optional catalytic converter for Y102... Termignoni complete systems Y102090... for Yamaha MT-09, XSR 900. 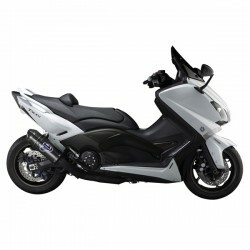 Supplied with fitting instruction and EC homologation certificate. 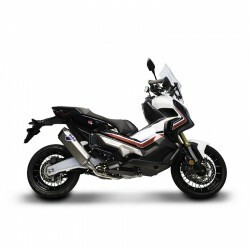 Termignoni collector for Honda X ADV year 2017, 2018 with stainless steel tube 2 into 1, to make a complete system when combined with the Termignoni silencer slip on (référence H14208040ITC). 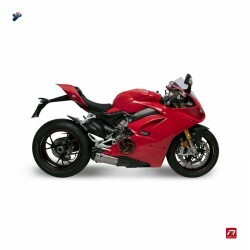 Performance kit Termignoni for Ducati 1100 Panigale V4 année 2018. 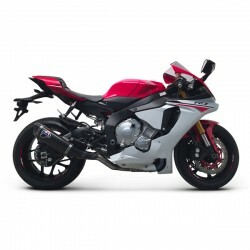 Slip on system performance kit Termignoni for Ducati 1100 Panigale V4 year 2018 - 2019 and V4 R year 2019. 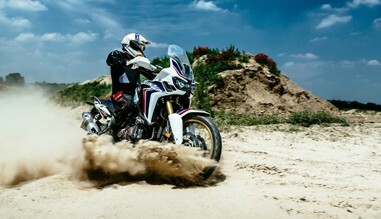 Performance kit including Slip on system set + performance air filter Sprint Filter and Upmap kit. 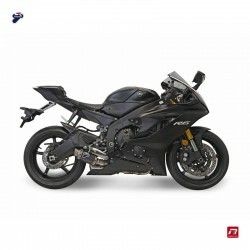 Complete exhaust Evolution Line (Titanium) S-B10E5-CZT for BMW S 1000 RR (15-17). 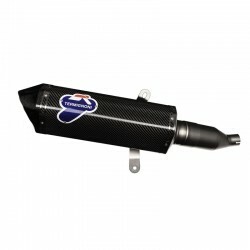 Collector 4-in-2-in-1 in titanium with conical hexagonal muffler full titanium with carbon end cap. 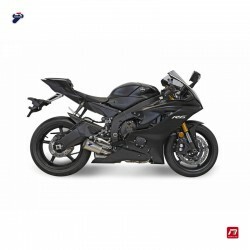 An order placed before 12am will be delivered in 1/2 working days (Chronopost) at motorcycle shops and 4/5 working days to be delivered to private customers. This web site is all a showcase site. 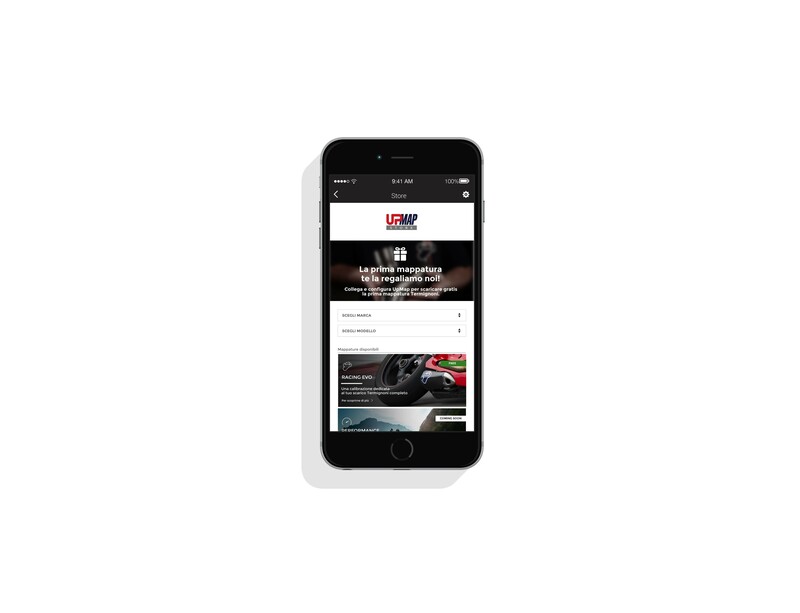 You will find products information, prices and availability. 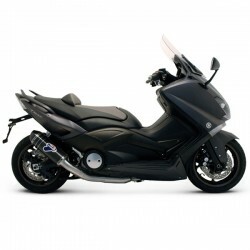 The majority of these items are reserved for sale to the motorcycle professional dealers from whom you can order these products. 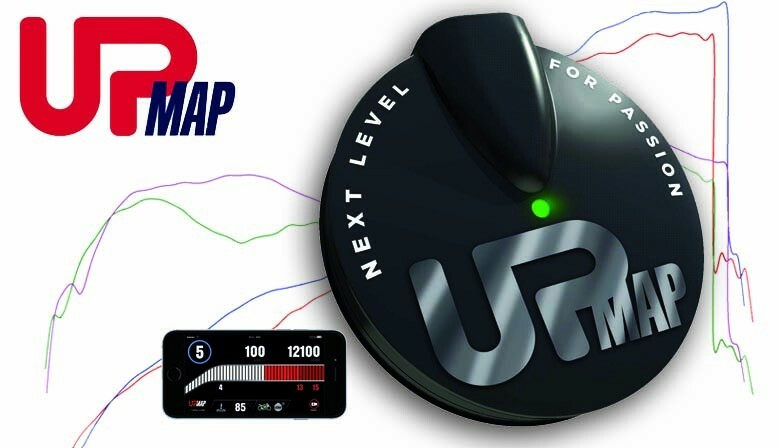 However, certain products are also available for direct sale on this site, namely the UPmap® range and products subject to a special destocking operation. We wish you a pleasant visit and remain at your disposal for any further information by phone or email.